Paralympic athlete, Tim Jeffery has been mastering his shooting skills ever since he first took up the sport over a decade ago, aged 11. 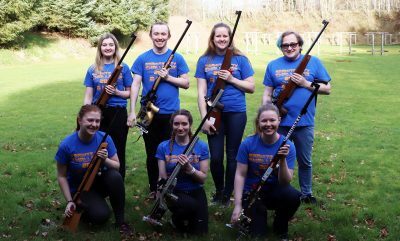 Competing in the R4 mixed 10 air rifle standing SH2, R5 mixed 10m air rifle prone SH2 and R9 mixed 50m rifle prone SH2 disciplines, Tim has always wanted to compete at the Paralympic Games on a global stage. 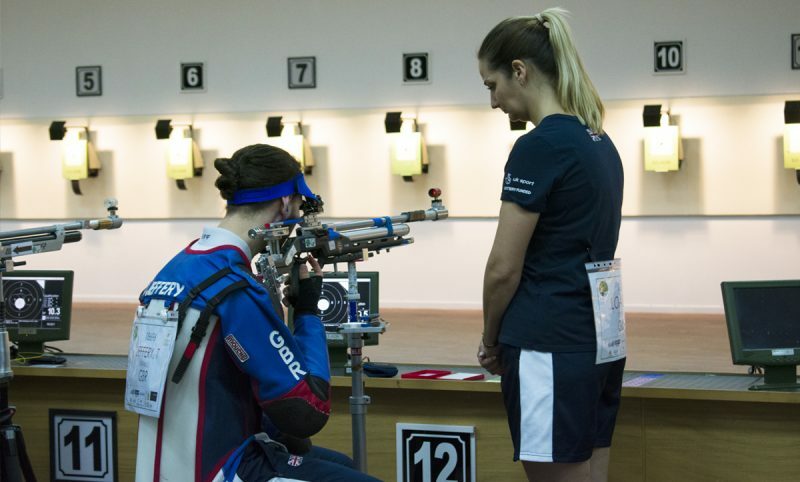 This dream was achieved when he was selected to shoot for Great Britain at the Rio Paralympics in 2016. 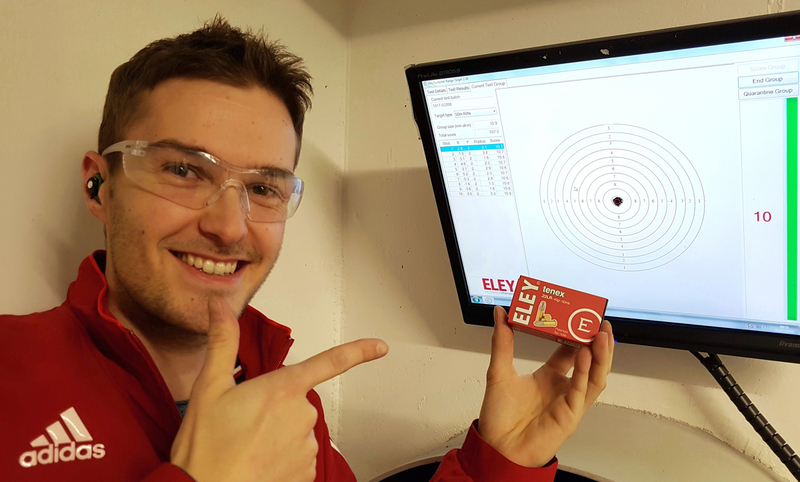 Now, nearly four years on, and with a world cup win and quota place under his belt, Tim has his sights set on Tokyo 2020. Here he hopes to beat his last Paralympic performance. 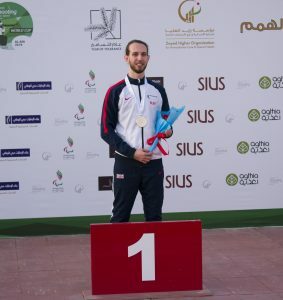 We caught up with Tim fresh from his gold medal win in Al Ain, to see how he had prepared for the world cup and what his next goal is as we look to Tokyo 2020. “I tried not to have many expectations going into the first World Cup of 2019” commented Tim. “We had had a training camp in France a few weeks beforehand with both the French and Italian teams. This went well and really showed me the progress I had made over the last few months in sorting out any issues from the previous season. This gave me a huge amount of confidence going into the World Cup in Al Ain. I was hoping for a top 10 finish in my 50m event and a top five in my standing Air Rifle event. 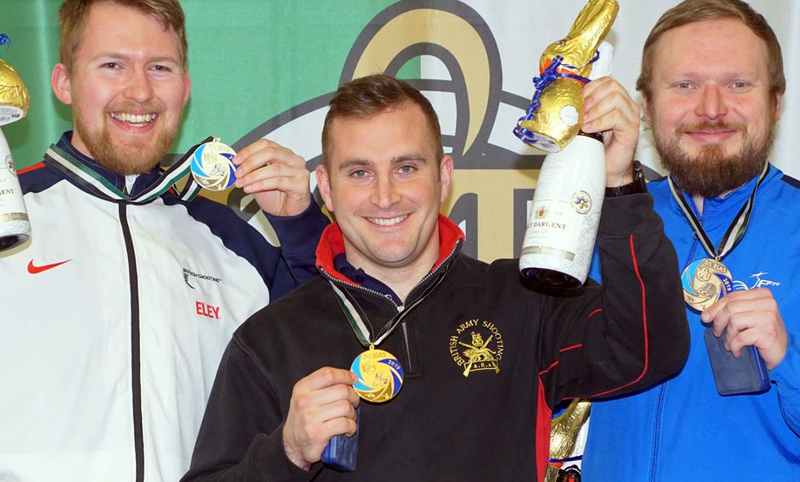 I smashed my 50m goal by taking home the gold and earning a quota place for Great Britain. This was also my best finish in this event which I was especially pleased with considering I’d been shooting it just under a year! Unfortunately I just missed out on the standing final coming 9th, but overall I was very happy with the outcome of the match. Now that I’ve achieved a quota place, it certainly doesn’t mean I intend to ease off my training. My next big competition is the world championships in Sydney, Australia in October. 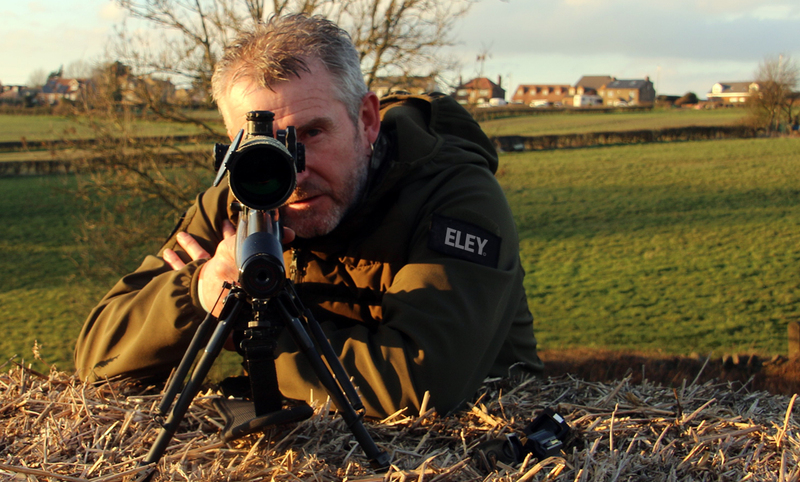 To prepare, over the next six months, I’m going to be spending a lot of time shooting 50m outdoors. This is so I can build my understanding and knowledge of wind so that regardless of the conditions, I’m capable of performing and competing against the best in the world irrespective of the conditions or environment. Alongside my shooting, I’m looking at doing some courses in psychology to both compliment my shooting and out of general curiosity and interest for the area of study. You can stay up-to-date with Tim’s journey to Tokyo by following him on Instagram @tim_jeffery_gb.